By Brian Hoey. Dec 19, 2017. 9:00 AM. There are two kinds of writers: those who keep their day jobs, and those who can’t get to the door quickly enough. For every William Carlos Williams (who was a practicing physician during his career as a poet) or T.S. Eliot (who, on some level, seemed to really love being a bank clerk), there’s a whole of host of writers like Kurt Vonnegut, whose time spent working as a used car salesman would be woven into what is perhaps his most despairing novel, Breakfast of Champions (1973), or Franz Kafka, who never made enough money in his lifetime to abandon his bureaucratic position (despite his and Max Brod’s various get-rich-quick schemes, like their dreamed-of series of European travel guides). In both categories, some writers certainly stand out for the, shall we way, unsavory nature of their day jobs. 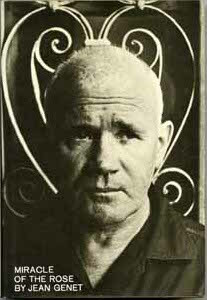 Jean Genet, the French activist and author of such existentialist classics as Our Lady of the Flowers (1943) and Miracle of the Rose (1946) alluded to obliquely in the title of David Bowie’s 'The Jean Genie', had, by all accounts, a rough go of it. Because of the widespread criminalization of homosexuality in pre-War France, to say nothing of the relative poverty of his upbringing, Genet quickly descended into a life of vagabondage. He spent time in a penal colony, was dishonorably discharged from the military for indecency, and eventually took to petty theft and prostitution as his main lines of work. Eventually, for these offenses and others, he would be given a life sentence in prison. Only because of the advocacy of Jean-Paul Sartre, Pablo Picasso, and others would his chance at a writing career be saved—seeing promise in the young man’s early writings, the French intellectual community would successfully petition the French President to commute his sentence. The White Fang (1906) and Dutch Courage (1922) author, meanwhile, was arrested numerous times, but somehow not for his most eye-catching criminal job title: oyster pirate. Jack London is spoken of as being one of the first modern writers to make a living off of his work, and it’s lucky that he did so because his early life was spent working in canneries, milling jute, and, for a time, poaching oysters in the San Francisco Bay area—raiding corporately controlled oyster beds and selling his spoils on the sly in Oakland. This remained London’s occupation until the sloop that he purchased (Razzle-Dazzle) became too damaged for further use. Another incarcerated writer (you may be noticing a pattern here), the Irish memoirist and playwright Brendan Behan had what is certainly the most questionable occupation on this list. As a Volunteer for Irish Republican Army, Behan at age 16 went on a(n apparently unauthorized) mission to destroy the Liverpool Docks. The adolescent militant was found with considerable explosives on his person and was sent to Mountjoy Prison. His experience with incarceration would come to form the basis for his two most memorable works, The Quare Fellow (1954), a play in which a group of prisoners speculates on the likelihood of a death row inmate receiving a pardon, and Borstal Boy (1958), Behan’s memoir of his time behind bars. 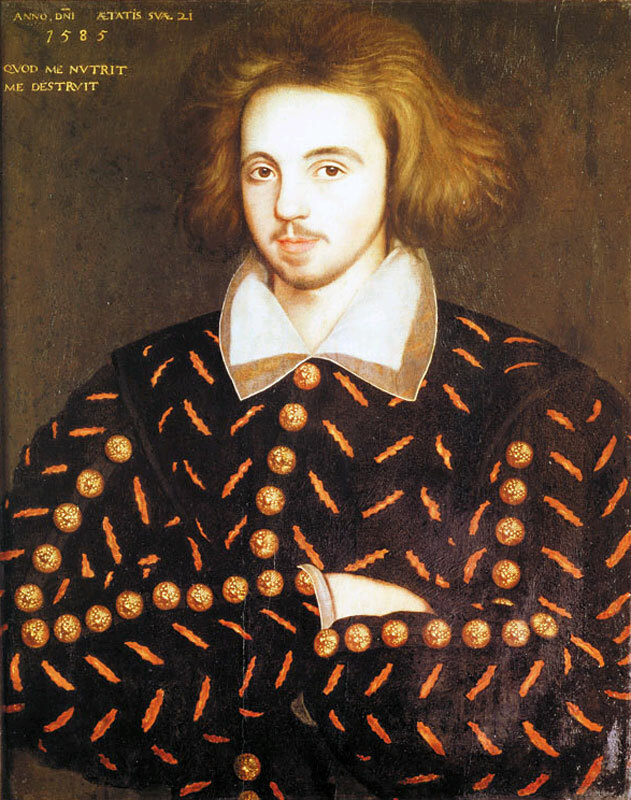 Christopher Marlowe, owing to being a contemporary of Shakespeare, is the one on this list about whom we know the least, but he makes up for it by (perhaps) having the most interesting job: spy. Of course, Ian Fleming also claimed espionage as his line of work, but where Fleming did the good work of (perhaps unintentionally) romanticizing many of the particulars of his work through his most famous creation, James Bond, Marlowe’s activities were (probably) less suave and much stranger. Though we don’t have the historical records needed to be certain, it seems likely that while at Cambridge, the aspiring poet and playwright would be recruited by Queen Elizabeth’s intelligence network to pose as a Catholic in order to keep tabs on subversive activity, making him one of the most intriguing writers with questionable day jobs on our list. After finishing his degree, his spying activities (seemingly) took him to The Netherlands, where he was arrested for counterfeiting. Unfortunately, we will likely never know the exact ins and outs of Marlowe’s day job, just as we will never know what works he might have created to follow Doctor Faustus (1592) and Tamburlaine (1587) if he hadn’t been killed (probably) in a knife fight at the age of 29.